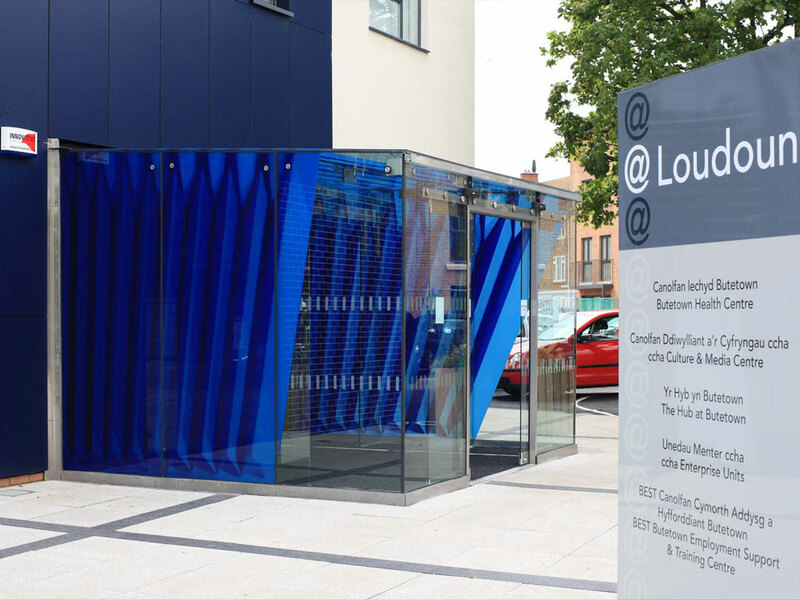 On behalf of the Loudoun Square Partnership Addo developed and managed a programme of public art works to satisfy a Section 106 Agreement attached to the redevelopment of Loudoun Square in Butetown, Cardiff. Austin-Smith: Lord Architects, Butetown Residents, Glen Biseker, Grange Surgery, Butetown Medical Practice, EJ Catering, Butetown Employment & Training Centre (BEST), University of Glamorgan, Butetown History & Arts Centre, The Yemeni Community Centre. In 2010 Addo were engaged by the Loudoun Square Partnership to develop and implement a programme of public artworks for Phase 1 of the redevelopment of Loudoun Square in Butetown, or Tiger Bay as it is more fondly known. 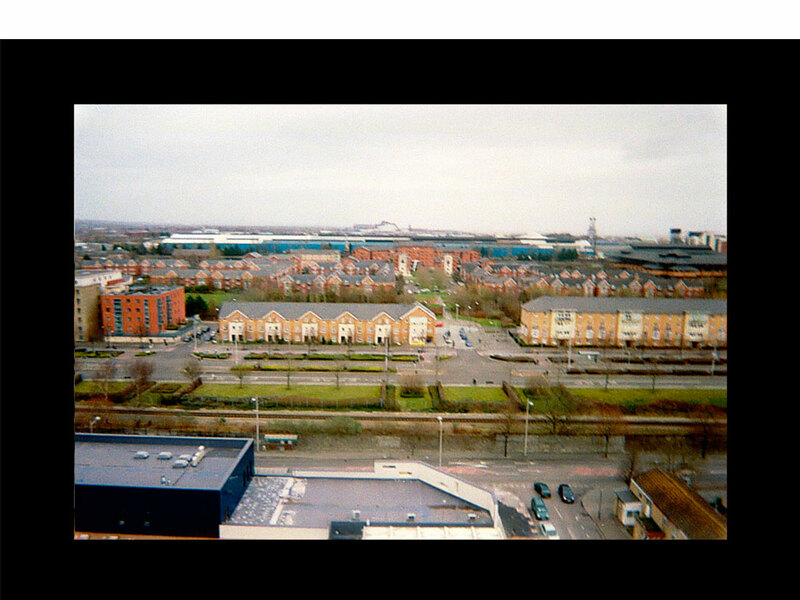 The Butetown area developed alongside the shipbuilding yards and docklands formerly situated to the east of the site and a major generator of employment and wealth. However, today the area is much changed. The majority of the industry has disappeared and in 2010 Butetown was recognised as one of the most socio-economically deprived areas in Wales. Loudoun Square was a 0.8-hectare site comprising of eleven tenanted retail units with vacant flats above, a health centre that served the entire Butetown ward, an area of green space, and some vacant land that formerly accommodated a residential care home for the elderly. The redevelopment scheme aimed to provide: a new three-storey health centre, retail units, affordable homes, flexible community facilities, well-designed external space, and appropriate levels of parking between the various elements. However, it was essential that the Loudoun Square Redevelopment Scheme was much more than a capital build project. The high quality scheme was intended to mark the beginning of a sustainable community partnership and to provide a focus for the community, both in terms of facilities and identity. 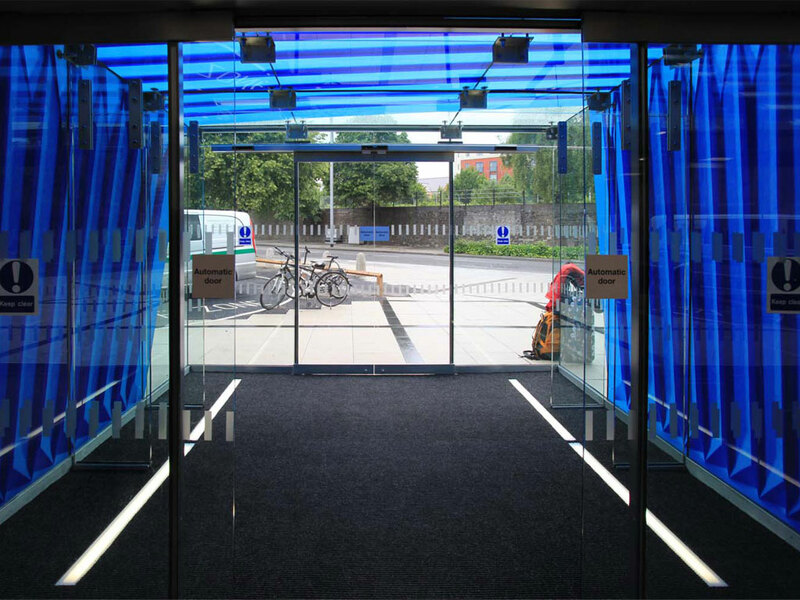 makes a feature of the glass entrance lobby of the building @Loudoun Square through the use of light and the application of a screen-printed abstract pattern in blue enamel inks, which has then been toughened and laminated. The pattern is derived from the bellows of musical instruments or old-fashioned cameras, which reflect the activities taking place in the CMC@Loudoun Square. The artists wanted to suggest a sense of movement and flexibility within the design that complements the architecture, creates a vibrant landmark feature and provides a welcoming space for those using the building during the day and night, in an area that previously had a notoriously intimidating atmosphere. 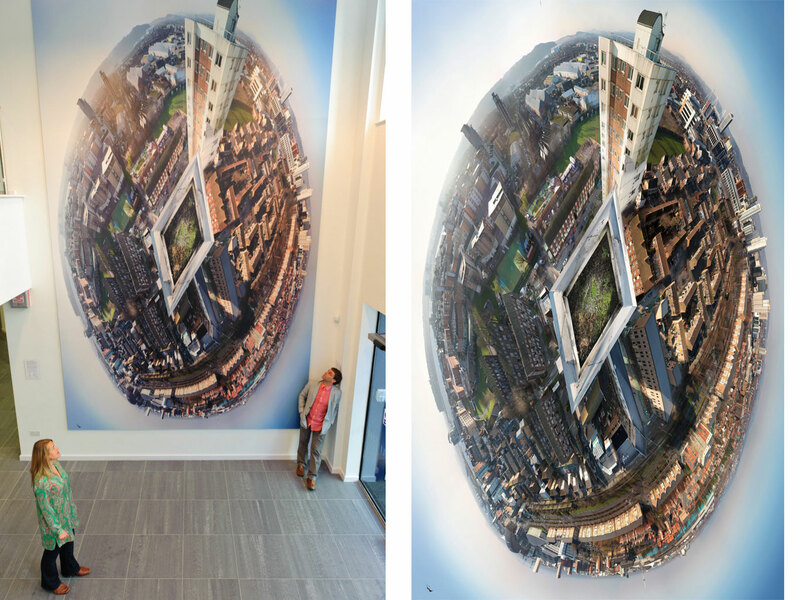 is a photographic installation on the double-height wall of the entrance atrium, composed from hundreds of high-resolution digital photographs taken from the rooftop of Loudoun House tower block on 1st February 2012. Loudoun House was built on the site of the original Loudoun Square Park and is one of the tallest buildings in Cardiff. Alongside Nelson House it is located at the heart of the Tiger Bay community, making it a poignant place from which to photograph the area. Axis is intended as a celebration of Tiger Bay, offering a unique perspective of the surrounding area as seen from the heart of the community. The idea for the project came from learning about the history of the area from residents and local historians. Neil Sinclair, in his book The Tiger Bay Story describes the area as ‘this “country” within the capital city of Wales’. The panorama has been shaped in an elliptical form to fit with the atrium wall and to locate Tiger Bay at the centre of a broader view of Cardiff and the surrounding landscape. The over-layering of images and viewpoints has been allowed to show through to give a sense of activity, change and memory. is a photographic participatory project involving staff and residents from Loudoun and Nelson House. 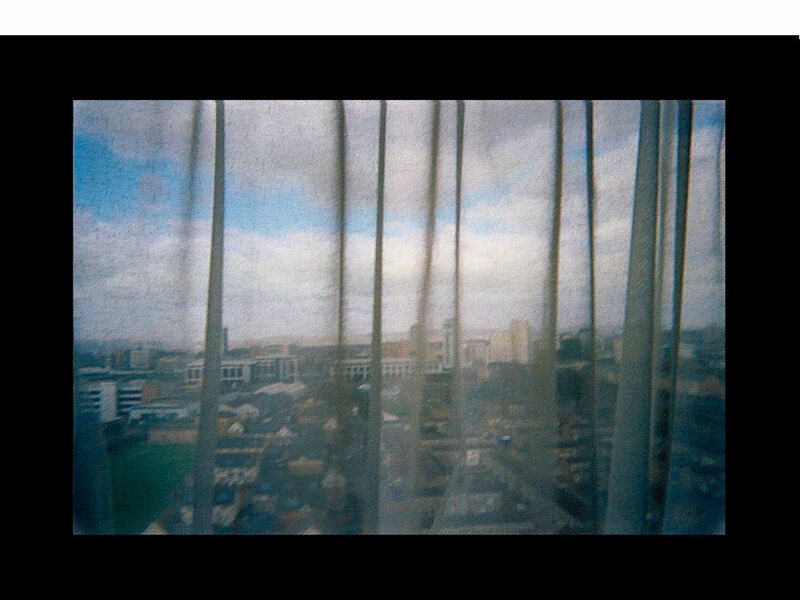 The project helped inform the visual direction for Axis and sought to capture and share people’s views from the tower blocks, both the visual views from their window and their view of what it’s like to live there. The idea developed out of chance conversations that artists had with residents on visits to Loudoun House to undertake test shots for Axis. 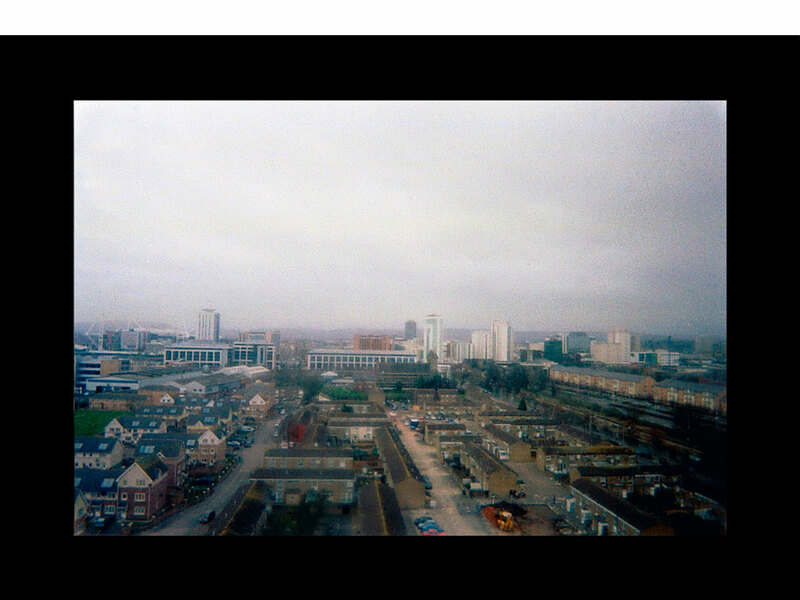 The project culminated in an exhibition of photographs, mainly shot using single-use film cameras, showing some of the residents’ views of Cardiff and the surrounding area. Quotes taken from conversations and observations shared during this time complement the images and give a personal perspective on what the view and Tiger Bay means to each person. Janet Hodgson developed a participatory film project and installation alongside the Client’s idea to provide a community cinema @Loudoun Square, which addresses some of the key aims of the redevelopment scheme, namely to develop a sense of ownership of the new facilities by local residents and to integrate the site into the wider Butetown area. The film Statues aims to rework the idea of public statues that are traditionally made up of still images, cast in metal, of someone with whom people can identify as being associated with the common good. The forces that make these works and the reasoning behind them are often unknown or unseen. The film is designed to unpack and examine these processes and create a public artwork that celebrates and engages with local residents. However, the process of making this work was open to the public and was playful and deliberately idiosyncratic, recognizing the impossibility of attempting to represent such a history in one artwork. 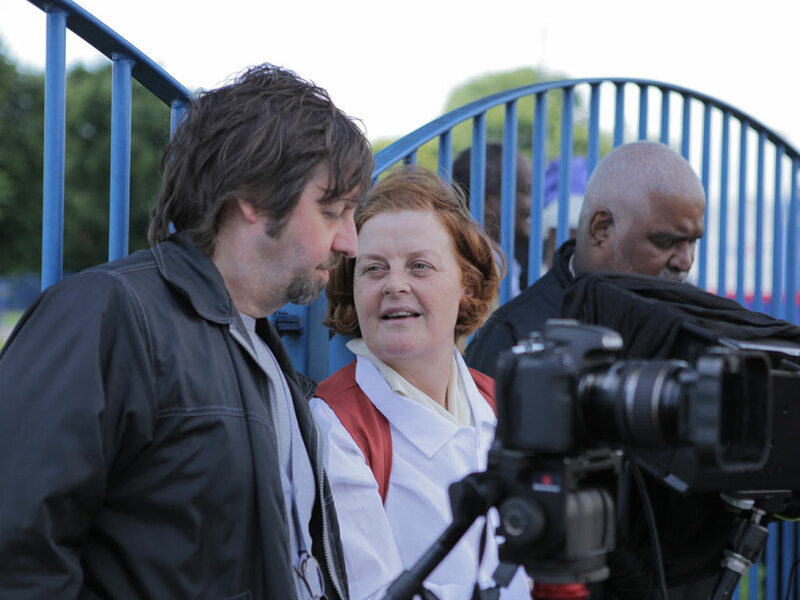 Janet set up a small production company called ‘Butetown Heroes’ with local filmmaker Glen Biseker and spent six months talking to people from the local area and collected nominations for the local heroes and heroines that they would like to celebrate in the film. They then sourced photographs of these local heroes outdoors, in and around Loudoun Square, and recreated these still images in a moving film. These images were then brought to life by look-alikes from the local area dressed in costume, standing motionless in the streets where the individuals were in the original photographs. The cast and crew for the film were made up of local residents alongside seasoned professionals and students from the universities close by. The film focuses on the local hero and seeks to recognize and celebrate the people’s history of Butetown’s complex and diverse community. Through re-making images from the past, the work also acknowledges the change that time makes to a place. It recognizes the change that happened to the Butetown community in the 1960s with the redevelopment of Loudoun Square from low rise housing to the high rise flats of Loudoun House and Nelson House, when life turned from being very much outdoors and visible to being more indoors and private. The work attempts to address this change by bringing and representing people outdoors. Ostensibly this work evokes and celebrates the memories of the community but it is also about legacy. It has endeavoured to make links with the wider film and visual arts community in Cardiff and South Wales and existing local filmmakers and act as a celebratory launch film for the CMC@Loudoun Square that provides an introduction to, and inspiration for, how its new film and media facilities may be used. 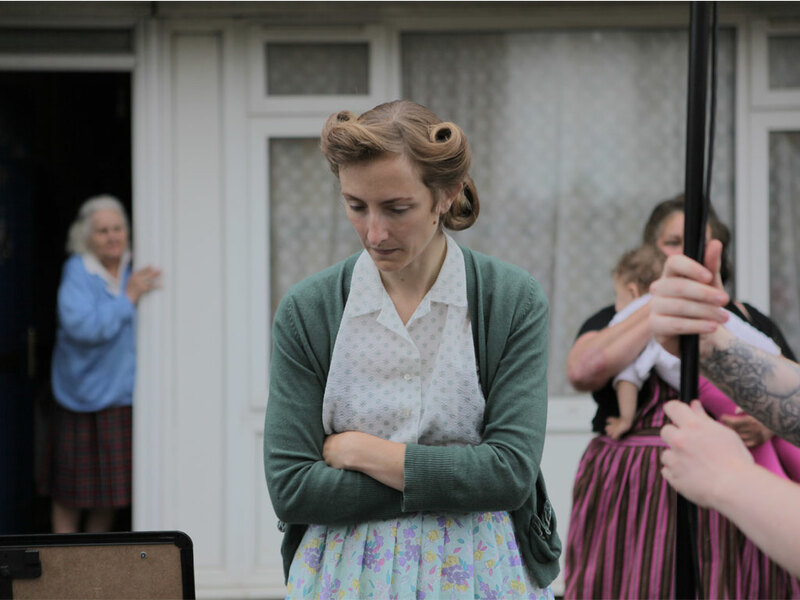 The film offered local people the opportunity to become involved in the production of a film and to learn and develop skills that may be applied in the Creative Industries. In this way, it is hoped that the project will contribute to building up the capacity and enthusiasm of Butetown residents to become involved in the redevelopment of Roath Basin close by, which will transform the last major derelict site in the Inner Harbour area of Cardiff Bay to create over 1,000 new homes and more than 1 million sq ft of commercial development space, mostly targeted at the media, creative and life sciences sectors of the economy. The film is displayed as an installation in the evening on a back projected screen over the entrance to the Health Centre on the ground floor. This creates a theatrical and cinematic ambience and gives a nod to the activities that take place in the CMC on the first floor. The CMC @Loudoun Square is being supported by OPEN CINEMA (a national network of film clubs programmed by and for homeless and socially excluded people), the Welsh Assembly Government, the Arts Council of Wales, NESTA, Chapter Arts Centre, The Film Agency for Wales, Literature Wales and BBC Wales. The film project, Statues, alongside the film & media suite, has also been awarded the Olympic Inspire Mark and was followed by Roy Noble on BBC Radio Wales. In addition to the paid and voluntary opportunities offered to local residents and recent graduates in the production of the Statues film, the evening reception for the launch of the artworks was catered and serviced by Cardiff Bay based company EJ Catering, who in collaboration with Butetown Employment & Training Centre, Addo and Cardiff Community Housing Association offered paid training and work experience opportunities in catering and customer service to Butetown Residents.